The Senate has asked the Federal Government to ensure that all the entitlements due to the Late MKO Abiola and Baba Gana Kingigbe, as president and vice president, are paid to them. The lawmakers made the call at Thursday’s plenary in Abuja, a day after President Muhammadu Buhari declared June 12 as the new Democracy Day. President Buhari, who made the declaration in honour of Abiola – the presumed winner of the June 12, 1993 presidential election, also conferred a posthumous GCFR title on the late businessman. The lawmakers went past their political differences to commend the development with an additional request that both men should be honoured to the letter. Senator Biodun Olujimi of the Peoples Democratic Party (PDP) urged the Senate to endeavour that the Independent National Electoral Commission (INEC) declares the results of the 1993 presidential election. Responding, Senate President Bukola Saraki recalled the contributions and sacrifices of MKO Abiola to Nigeria’s democracy. He, however, said the country has yet to accord the late businessman and his family their deserved recognition which he said were long overdue. ”I am sure that all of us, in one way or the other, have had the opportunity to interact with the man (Abiola) and we felt that the country has not given him and his family the recognition that they truly deserve. 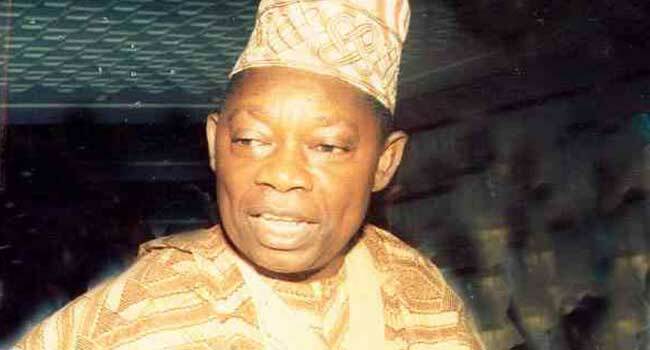 “Let us leave it that Chief MKO Abiola represented all of us,” Dr Saraki urged his colleagues. In their resolutions, the Senate supported the declaration of June 12 as a public holiday and insisted that May 29 remains the day for the inauguration of a president and newly elected officers. The lawmakers also asked the electoral umpire to declare the results of the June 12 election.